You depend on your air conditioner to help you stay comfortable in the warm Florida weather. Sometimes your air conditioner may need a bit of maintenance. In other cases, you may need a repair. You may even decide you’d like a new A/C unit installed at your home or business. Whatever your need, we offer top-quality air conditioning services in Tampa. 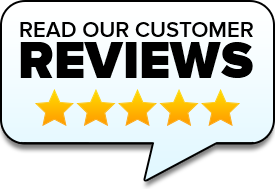 Our skilled technicians have over 30 years of experience serving customers in Hillsborough, Pinellas, Pasco, Polk and Hernando County. We offer 24-hour emergency service and have experience with all major brands. When you require air conditioning services in Tampa, let us provide you with an affordable and professional solution. When there is a problem with your A/C, you may notice it immediately. In other instances, you may not realize something is wrong until your electric bill arrives. You want to get the most out of your air conditioner, which is why it is always wise to get repairs sooner rather than later. A small problem can grow worse quickly – and this can sometimes compromise the entire unit. When your air conditioner is operating at full efficiency, it consumes less power and doesn’t have to strain as much. This can help you avoid having to get repairs. Regular maintenance can also be useful for keeping your unit in good condition. When you’re looking for A/C services in Tampa to keep your unit in good condition all year, you may consider getting set up on one of our maintenance plans. 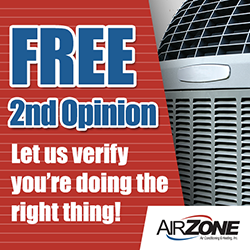 The skilled technicians at Air Zone Air Conditioning & Heating can check electrical components, clean filters, and perform various other types of servicing necessary to keep your AC unit in good shape. In some cases, you may need regular maintenance to maintain the warranty on your air conditioner. Our technicians have the latest training to give you the air conditioning services you need. Has your current air conditioner required repairs multiple times in the last year? Is it over 15 years old? If either of these is true, you may consider getting an air conditioner replacement. Even if you’re moving into a new building, we can help you pick out the right unit for your needs and budget. Our technicians will make sure your new air conditioner is installed correctly and is operating properly. To find out more about our air conditioning services in Tampa, contact Air Zone Air Conditioning & Heating today!